U.S.A. Getting WiMAX 4G and Nokia N800 Internet Tablet Next Year from Sprint | OhGizmo! By Shane_McGlaun on 08/10/07 • Leave a comment! 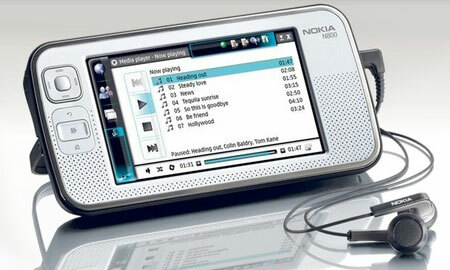 Linux Devices is reporting that Sprint will sell the Nokia N800 Internet Tablet in the U.S.A. next year. The version we get here in the U.S. will be a Mobile WiMAX-enabled device to go along with Sprint’s quest to offer WiMAX 4G services to over 100 million users in 2008. The target markets Sprint is rolling 4G out to first will be Chicago, Baltimore, and Washington DC. Sprint claims that by the end of 2008 several other 4G areas will be activated with Motorola handling Chicago, Detroit, Grand Rapids, Indianapolis, Kansas City, and Minneapolis. Samsung will help roll 4G out to Baltimore, Boston, Philly, Providence, and Washington DC. Nokia will then be responsible for rolling 4G services out to Austin, Dallas, Denver, Fort Worth, Portland, Salt Lake City, San Antonio, and Seattle.